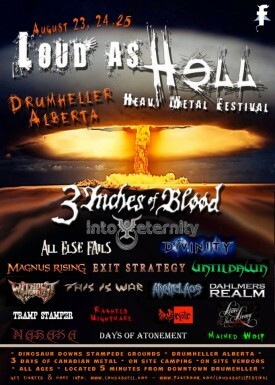 Moving into its second year Loud As Hell Heavy Metal Festival promises to be bigger and better than last year with three full days of metal, onsite camping, vendors, tattoo artists, models and everything else that the big guy probably doesn’t approve of. 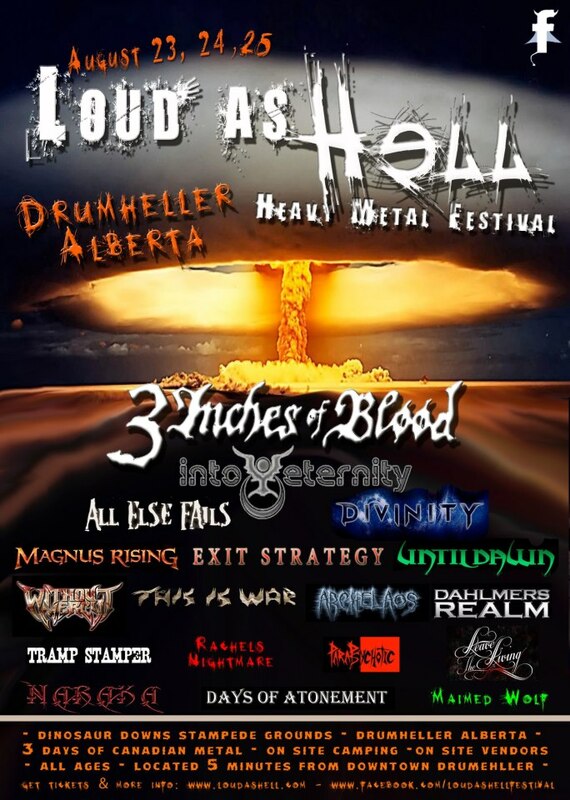 Last year’s Loud As Hell hosted artists such as Kill Devil Hill, which features Rex Brown (Pantera) and Vinny Appice (Dio, Black Sabbath, Heaven & Hell), Titans Eve, West of Hell and many more up and coming metal acts over its two day run. Friday, August 23rd running through until Sunday, August 25th. Tickets will be on sale in two weeks via Ticketmaster. This entry was posted on Friday, May 3rd, 2013 at 11:39 PM and is filed under Music Events. You can follow any responses to this entry through the RSS 2.0 feed. You can leave a response, or trackback from your own site.